International Enterprise (IE) Singapore, the official body for facilitating overseas investment by Singapore-based companies, has simplified the application process for a scheme aimed at encouraging and supporting companies as they expand their business offshore. Companies headquartered in Singapore with annual turnovers of less than S$100 million can apply for the Market Readiness Assistance MRA grant. The grant, which provides up to S$20,000 per company per year, can be used to cover legal, tax, and advisory/consultancy costs used when expanding overseas. IE Singapore says that they “recognize that entering a new overseas market can be a daunting challenge,” and that the MRA grant was designed to help overseas ventures start off on the right foot. IE also lists a number of partners that recipients of the grant can work with to reduce the costs of expanding abroad. Among the list are reputable multinational firms such as KPMG, Okusi Associates, and others. 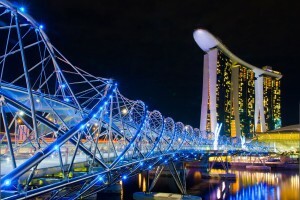 If you are looking to take advantage of business opportunities in the region, the MRA grant makes Singapore an even more attractive option to consider for locating your HQ. If that’s not enough, read up on more Singapore business developments to learn about its attraction as a base for international business. The Ministry of Finance has formally created the Singapore Accountancy Commission (SAC), which it hopes will aid in establishing Singapore as a regional accountancy hub. Michael Lim Choo San has been appointed as chairman of SAC. Mr Lim along with the board members represent stakeholder groups such as the public accountancy profession, as well as accountants in business and academia, professional accountancy bodies, and the government. The new body will continue the work started by the Pro-Tem Singapore Accountancy Council (Pro-Tem SAC) such as the implementation of the Singapore Qualification Program (Singapore QP) and the launch of the Singapore Chief Financial Officer Institute. In the future, those who pass the Singapore QP and have relevant work experience can obtain the title of Chartered Accountant of Singapore (CA Singapore), which will replace the CPA Singapore title. This is a good incentive for the accountancy profession and a suitable business sector to highlight for an international trading hub.